A full service public relations agency with extensive experience in corporate, b2b and healthcare communications. 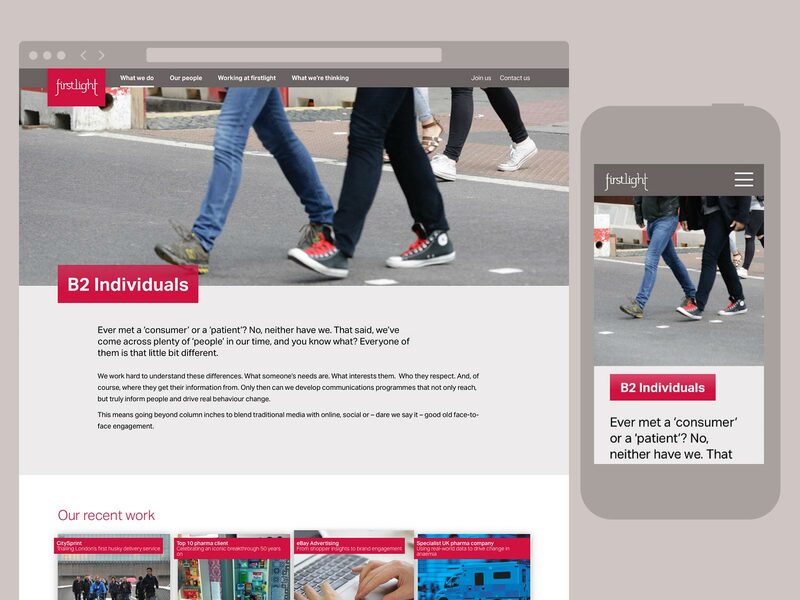 Firstlight PR needed a website that reflected their exceptional growth with existing corporate and b2b clients and also their launch in to the healthcare sector. 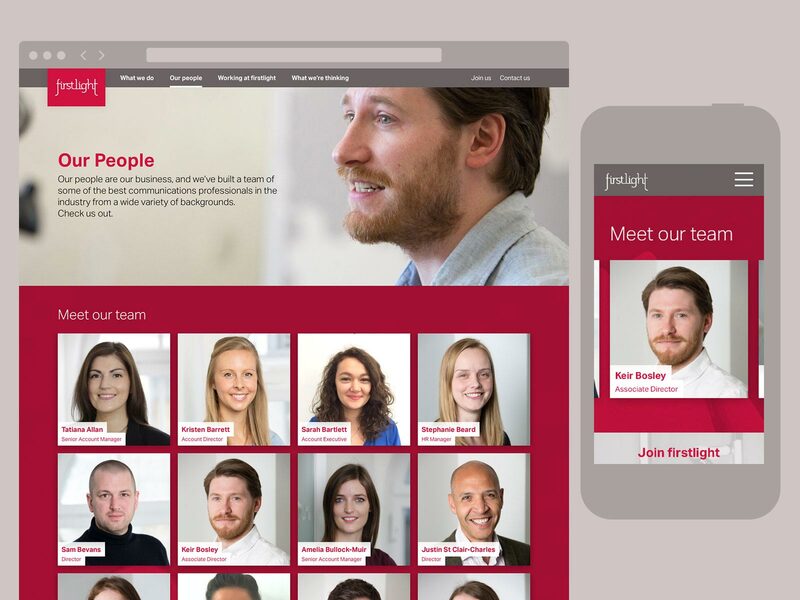 They also wanted to push their personality and culture to help with a recruitment drive. 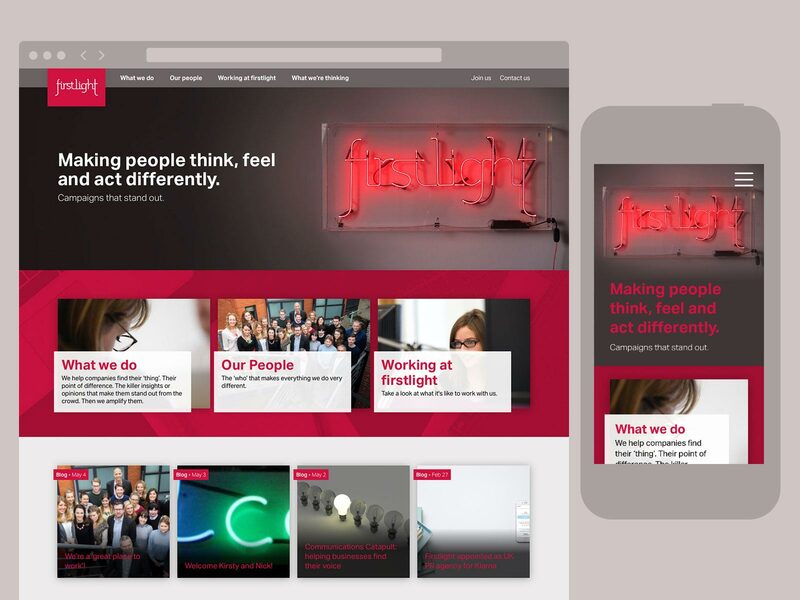 This personal touch also helped Firstlight PR seem more approachable and human rather than a faceless corporate agency. Working closely with the development team, final designs and assets where prepared for handover along with face to face guidance and advice.